Star Wars Battlefront already lets players take control of Han Solo’s Millennium Falcon and the Empire’s devastating AT-AT Walkers among other vehicles, but now the Rebel Alliance’s powerful U-wing will also be available in the game as part of the new Rogue One: Scarif DLC. Unlike the X-wing and the Empire’s Tie Fighter, though, the U-wing is not a Starfighter but rather a sturdy troop transport and gunship, which the Alliance uses to land rebel troops on Scarif, which is a tropical planet controlled by the Empire in the Rogue One movie. In the game proper the U-wing will be available in the new Infiltration mode introduced in the Scarif DLC, in which players have to steal Imperial secrets in a mission that mirrors events in Lucasfilm’s upcoming movie. 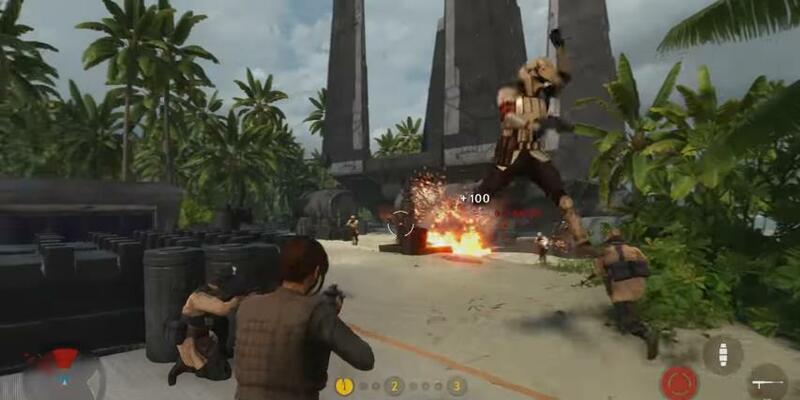 Battlefront players who pick up the new Scarif DLC will have access to new maps on which to play the game’s multiplayer modes, two set on the beaches and jungle of planet Scarif, and the other two in space above this tropical planet. DICE has also added a new “star card” to the game, which allows players to use a new hybrid grenade known as “Sonic Imploder”. This grenade not only does damage to enemies, but also blinds opponents who are looking in the direction of the explosion for a limited period of time. Two new weapons will also be accessible to players in Battlefront: the DT-29 blaster pistol which potentially enables players to fire for longer as it relies on ammo rather than a cooldown system, and the A180. This is another blaster pistol which has several fire modes available, including a sniper mode, which will undoubtedly come in handy in those heated Battlefront multiplayer matches. Note: the Scarif DLC is now available to owners of Star Wars Battlefront’s season pass. It will be available to buy standalone on December 20, 2016.